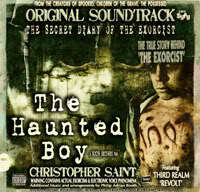 Philip Adrian Booth, and Christopher Saint Booth are twin paranormal film makers. 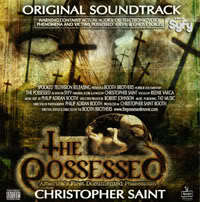 They produce and film documentaries about the paranormal, showing fans the real side that we may not have heard. 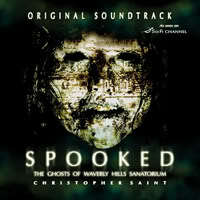 They are known for SPOOKED, The ghosts of Waverly Hills, Children of the Grave, and the movie Death Tunnel. Their films will all touch your heart, and so will they. 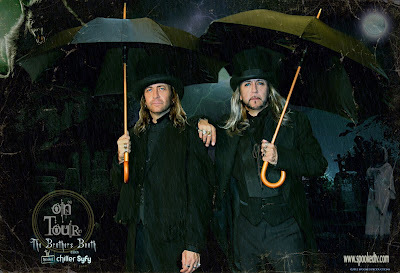 The Booth Brothers love their fans, and make their rounds to Paranormal Conventions throughout the year. If you haven't already met them, or even seen any of their films, make sure to stop by their website and check them out. 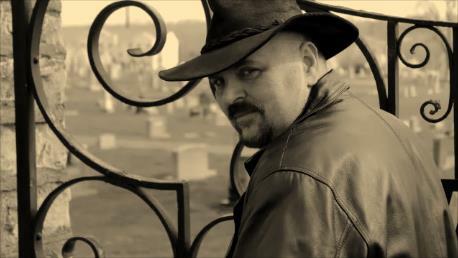 Keith Age is the founder, and leader of Louisville Ghost Hunter Society. (LGHS). He works side by side with Philip, and Christopher Booth. He is also the host of SyFy's SPOOKED television series. 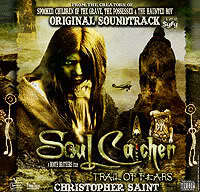 He also works on the Booth Brothers documentaries such as Children of the Grave, and The Haunted Boy. He throws very successful paranormal conventions in the Louisville and surrounding areas. He is the author of a new book titled 'Out of the Dark', and a documentary titled "Ghosts of Galena." You can find these on his website. Get up close and paranormal with acclaimed documentary filmmakers, The Booth Brothers. This supernatural journey takes you to the best haunted asylums, zombie roads, and devil playgrounds you could imagine. Witness true history, emotions and evidence, as the scariest ghost stories are the ones that are real. 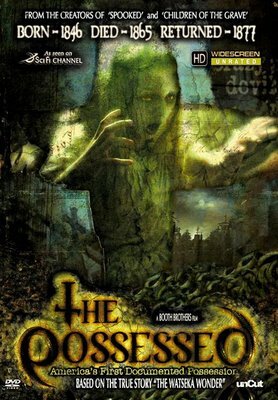 The Unseen is a retrospective look inside of the Booth Brothers best films, Death Tunnel, SPOOKED, Children of the Grave, The Possessed, The Haunted Boy, and Soul Catcher. Contains exclusive interviews and never before seen footage. 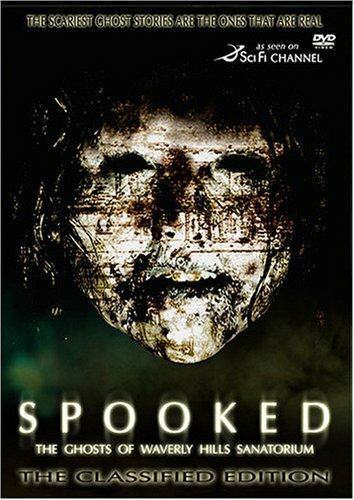 The highly acclaimed documentary follows Hollywood filmmakers as they uncover the shocking history within the haunted halls of "The Scariest Place on Earth," Waverly Hills Sanatorium, a monster of a building where it is said over 63,000 people died. Some say the DEAD are still there! Based on the true story, "The Watseka Wonder," America's first documented possession of 1877. A chilling journal of a 13 year old girl from the small town of Watseka, IL who became possessed by the spirits of the insane dead! Examine real paranormal case files while exploring haunted orphanages and asylums. Uncover the dark shadows from untold stories of unmarked graves. 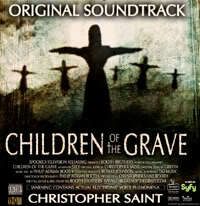 From the creators of Children of the Grave (as seen on SyFy). This paranormal sequel digs deeper into the true hauntings of ghost children and their emotional stories of the supernatural. Death Tunnel follows a group of college kids who have to spend a night in a haunted sanatorium. An upscale college initiation party strands five girls in the 'Scariest Place in the World.' Within the five floors of an abandoned hospital built in 1910, haunted by five hosts of its tortured past. As the students, one by one, become victims of its tragic history, they soon uncover a shocking link they all may have to its past - a five hundred foot, underground body chute built to remove the dead bodies of its patients. When each door opens up, new terror and each corridor leads to unimaginable horror and the only way out is through the Death Tunnel. Matthew McGrory (Devil's Rejects and Big Fish) stars in his last, riveting, film role as a hillbilly giant that terrorizes a small town along with the local insane preacher. Together they exorcise their ritual of dark cleansing, by locking you up inside an ancient box, forcing you to FACE YOUR DEMONS. But when a 10 year old boy is locked inside, his darkest fears sets loose an Inferno of relentless Evil! While filming a haunted asylum in St. Louis, MO., documentary filmmakers uncover a secret diary of the infamous 1949 exorcism of a 13 year old boy possessed by the devil that later inspired the book and movie, "The Exorcist." For the first time ever, investigate the real Exorcist house and the infamous Haunted Boy's bedroom where this horrific exorcism occurred. Battle demons while exploring ancient churches and asylums with the last surviving priests. Witness never before seen video, historical events, paranormal evidence from the actual case files. 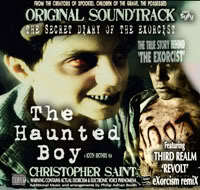 Exclusive interviews with the real Exorcist's and Haunted Boy's bloodline. Click on the photos below to be directed to the website! Follow the link below to purchase yourself a copy of "Out of the Dark" and "Ghosts of Galena" today! 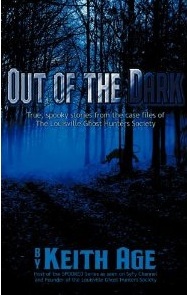 True, Spooky stories from the case files of The Louisville Ghost Hunters Society. Join Keith Age, the legendary "Rock-n-Roll Ghost Hunter," as he takes you on a wild ride transporting you to the experiences that inspired him to investigate the paranormal and set him on the path to form the Louisville ghost Hunters Society. Then, take a deep breath and follow him on his tour of the infamous Waverly Hills Sanatorium. "Ghosts in Galena....One of the best paranormal documentaries to be released in years..."
Join some of the best paranormal teams in the United States on an electrifying journey in to the quaint town of historic Galena, Illinois. Galena, built around rich lead mines and Native American burial sites, has been notorious for being home to countless apparitions and endless amounts of paranormal "activity." Hear the tales of the homeowners' numerous eyewitness accounts of ghostly visits and hauntings that will keep you on the edge of your seat. Watch as our extraordinary teams investigate the alleged "activity" in the historic Turner Hall, the DeSoto House, 111 Main Street, and the infamous lead mines, uncovering riveting evidence of the spirits lurking about. Ghosts in Galena will leave you wondering....perhaps there really is "another side."